November was another odd month for me as I was generally out of sorts following my year’s earlier upheavals on the work and health fronts. This resulted in a fair amount of re-reading, something of a rarity these days, and more listening than anything else. I failed to review anything at all on the blog. Sorry ’bout that; I shall attempt to make up for it here. 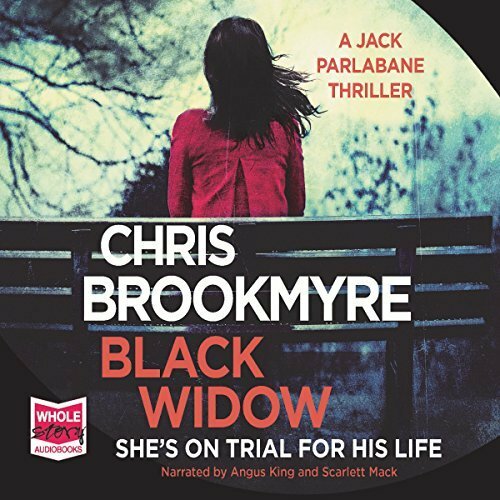 The book I enjoyed most was Christopher Brookmyre’s BLACK WIDOW which last year won the inaugural McIlvaney Prize and this year collected the Theakston Old Peculier Crime Novel of the Year Award. For once I can see why. 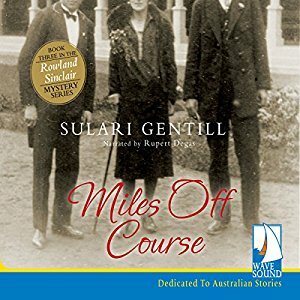 It is the 7th book in a series featuring journalist Jack Parlabane and one of the things I liked most was that I could enjoy the book without having read any of its predecessors. Not all authors are so kind. Or able. Its central story is that of Diana Jager who is a surgeon, ex-blogger and new wife when her life spins out of control. One of the themes of the book is particularly timely as it explores the kinds of sexism that many women encounter on a daily basis. Other themes include cyber-bullying and the collective rush to outraged opinion that modern social media facilitates. Which is all background to a multi-twisted tale of a probable murder that had me in rapt attention. I couldn’t help but compare this book to last month’s lacklustre suspense read and wish I could sent the the author of that one a “this is how it’s done” note. 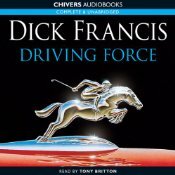 If you are a fan of the audio format I can highly recommend the narration by Angus King and Scarlett Mack. Ellery Adams’ WRITING ALL THE WRONGS – The 7th book in Adam’s series about a North Carolina writer’s group is just what my doctor would have ordered if he weren’t so busy prescribing drugs and making use of fancy new-fangled technology 🙂 A smart, cosy mystery that takes the series’ regular cast on a honeymoon-come-holiday to a nearby island’s writing festival. Ghosts, legends and longheld secrets combine to form a suitably twisted mystery with just a dash of romance. 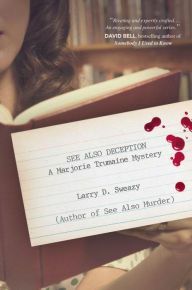 Larry D. Sweazy’s SEE ALSO DECEPTION – the follow up to one of my favourite finds of last year is just as good as its predecessor. 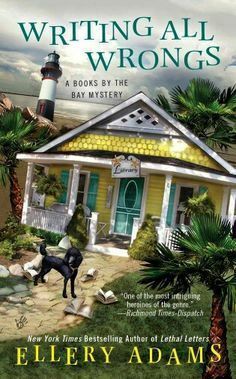 In this outing Marjorie Trumaine’s closest friend, the local librarian, is found dead and is presumed to have killed herself. Marjorie is unwilling to accept this but struggles to prove her thoughts are anything more than the sympathetic notions of a concerned friend. Marjorie’s life as a farmer, wife of a quadriplegic and diligent book indexer in mid-60’s North Dakota provide a richer reading experience than you might imagine and the book’s ending had me in tears. 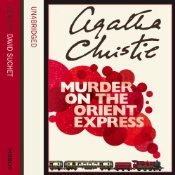 Agatha Christie’s MURDER ON THE ORIENT EXPRESS – After being somewhat underwhelmed by the latest movie adaptation of what is probably Dame Christie’s most famous book I wanted to re-read the source material because I had forgotten how she tackled the issue of Poirot’s feelings about the case. Both this adaptation and the recent one for David Suchet’s much-praised television series have made much of Poirot’s inner turmoil regarding ‘justice’ as it plays out in this story. 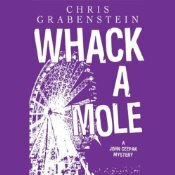 Perhaps not surprisingly this is entirely manufactured by modern sensibilities; Christie’s Poirot deals with the issue as perfunctorily as humanly possible. How times change eh? 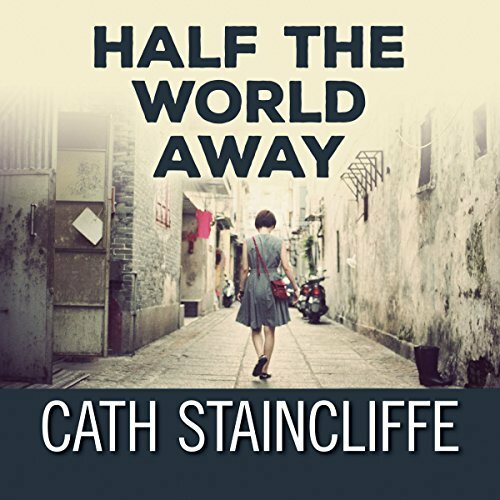 Cath Staincliffe’s HALF THE WORLD AWAY – I’m a big fan of Cath Staincliff’s standalone nearly-not-crime novels but missed the publication of this one 2 years ago. It is the story of Lori Maddox, an English girl whose gap year travels turn into a job as a private tutor in China. Her parents, Joanna and Tom, follow their daughter’s adventures via her blog Lori in the Orient. When the blog stops being updated and no one hears from Lori for several weeks her parents, who separated when Lori was little, have to put aside their differences, convince authorities in two countries to treat their daughter as officially missing and, eventually, make their way to China to actively participate in searching for their child. The book has a really strong sense of place, especially when the action is in China, and the depiction of parental desperation to discover what has happened to their child is gripping. Re-reads (or re-listens if you want to be pedantic) for the month included these titles…marvellous comfort reading each and every one of them. We’re not going to discuss my progress on bookish goals this month because there hasn’t been any. Progress that is. C’est la vie. What about you? How is your reading going for the year? Anything from November that you want to shout about? 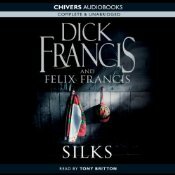 This entry was posted in Agatha Christie, books of the month, Cath Staincliffe, Christopher Brrookmyre, Ellery Adams, Larry D. Sweazy. Bookmark the permalink. I have been doing a lot of rereading this year, and enjoying it a lot. The book by Cath Staincliffe sounds good; I have read none of her books. I also enjoyed SEE ALSO DECEPTION very very much. Sometimes I think rereading/re-listening is a healthy thing to do, Bernadette. That’s especially true when you’ve had an up-and-down, difficult sort of year. I’m very glad you enjoyed the Staincliffe; I like her writing very much, but that one slipped by me. I must check it out. And I think nearly all of Agatha Christie’s work is worth a re-read. That is terrific news….you’ve made my day. For some reason it is hard to get these books in Australia but I will make sure to track this one down next year. Black Widow sounds good as does the Staincliffe book, especially given the location in China. See Also Deception is good; I like Marjorie Tremaine. I look forward to reading the next book, which I believe will be set in New York, rather than the Dakotas. The next Marjorie book is set in North Dakota. That’s good to know…not that I want poor Marjorie to be stuck there but the setting is so wonderfully depicted. Then the prior reports that the third Marjorie Tremaine book will be set in the Big Apple were wrong. I had read that. The book I read had a great sense of place in describing the dusty plains of North Dakota. It was enjoyable to read. Glad you’re up to reviewing and posting again. Hope you are getting back energy. An interesting mix of books and very good to have you back again. We are so glad you are living — and on the way to kicking! Yes. It’s Kathy, not anonymous.